Don Rosa’s The Life and Times of Scrooge McDuck traced Uncle Scrooge from his Glasgow childhood in the 1880s to his first meeting with Donald Duck in 1947. 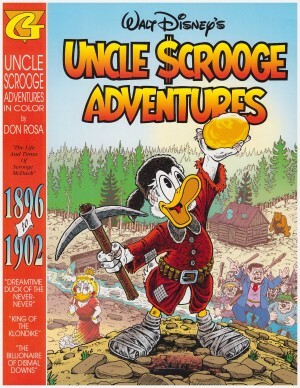 Rosa so enjoyed researching the historical settings for those tales that in the years following he produced several more stories of Scrooge’s past, collected in this companion volume. 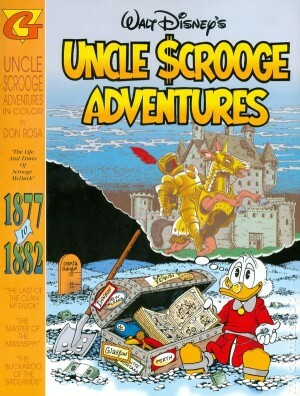 To draw a distinct line between the original Life and Times of Scrooge McDuck material and this later work Rosa begins most stories with Donald or his nephews rummaging among the souvenirs in Scrooge’s old travelling trunk. In a charming tip of the hat, the trunk is modelled on that used by Rosa’s grandfather when he emigrated to the USA. Central to the collection is Glittering Goldie, the love that Scrooge left behind in the Yukon after making his initial gold strike. 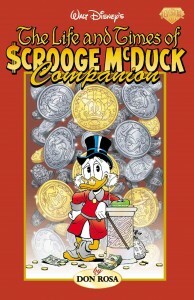 In many ways similar to Scrooge, valuing both hard work and riches, theirs is a tragic love story, neither able to declare their feelings. 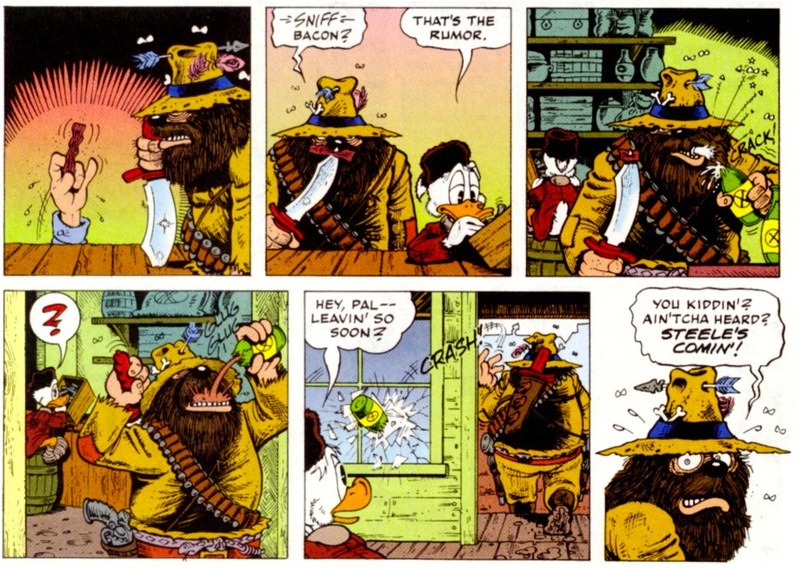 One of Carl Barks’ most touching tales introduced her, and for Rosa she’s the single regret of Scrooge’s life. 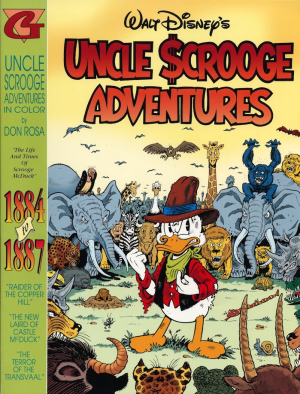 Scrooge’s sisters return in a tale also starring Teddy Roosevelt and the construction of the Panama Canal. They’re among the few able to put Scrooge in his place, and with Hortense being Donald Duck’s mother she also has a fearsome temper. Other adventures occur aboard the Cutty Sark, and in the final days of old West, with Rosa fitting in as many famous characters as he can. 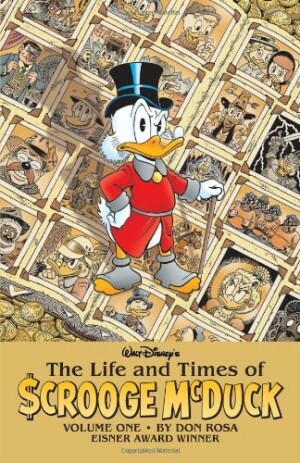 One story doesn’t exactly fit the format of tales from his past, but certainly toys with it, as the Beagle Boys invade Scrooge’s dreams in an attempt to learn how to access his money vault. The conceit of the story is beautifully conceived. 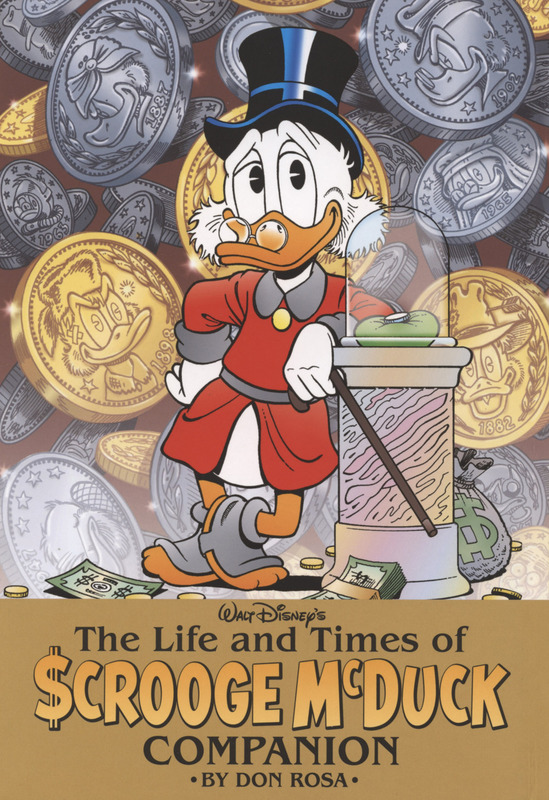 Based on Scrooge’s public persona the Beagle Boys assume Scrooge dreams of nothing but riches, when in fact his dreams are of adventure and loss. 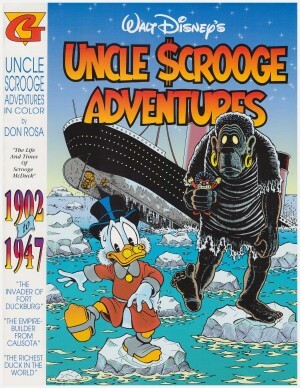 The playful surreal quality of this story differentiates it from all Rosa’s other work on Scrooge. There are some minor editorial and production problems. Some pages are mildly out of register, a fault not corrected from the previous Gemstone paperback edition. It’s also an odd editorial decision to excerpt the seven page flashback sequence from Rosa’s ‘Last Sled to Dawson’ rather than print the entire story. The given reason is the remainder being a modern-day adventure, but so is ‘Dream of a Lifetime’ and some of Magica DeSpell’s machinations in the opening tale. As with the first collection, there are copious notes from Rosa explaining his references and offering background insights, and while these stories don’t quite match the best of Rosa’s work as a collection (although some do individually), his standards are so high this remains an essential volume.